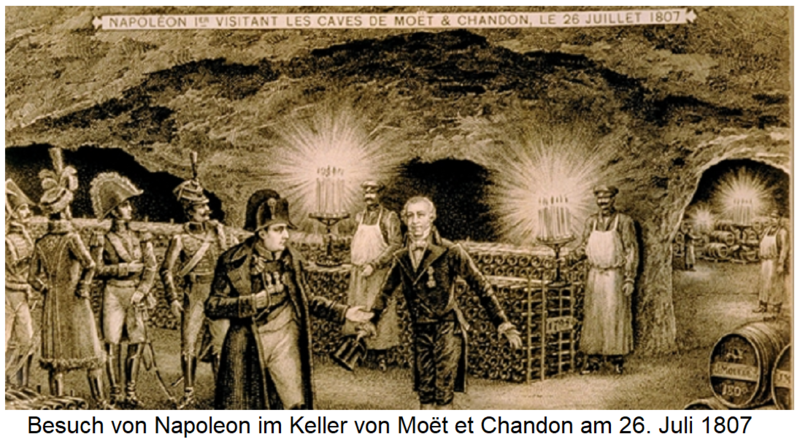 Napoelon remarked on the enjoyment of champagne: after the victory you deserve him, after the defeat you need him. Supposedly, the emperor has that as well sabrage (Champagne heads using sabers) invented and maintained this custom after winning battles with his officers. His first wife Josephine loved the wine from the famous vineyard Coulée-de-Serrant at Savennières on the Loire. A wine has been proven to Napoleon but enjoyed until his death and had him deliver regularly in large quantities in his exile on the island of St. Helena. It was the famous sweet wine Constantia from South Africa. The legendary vintage 1811 was referred to as "Napoleon wine", because the emperor had then reached the height of his glory. During the French Revolutionary Wars (1792-1815) it was in Germany come to a comprehensive secularization of goods. 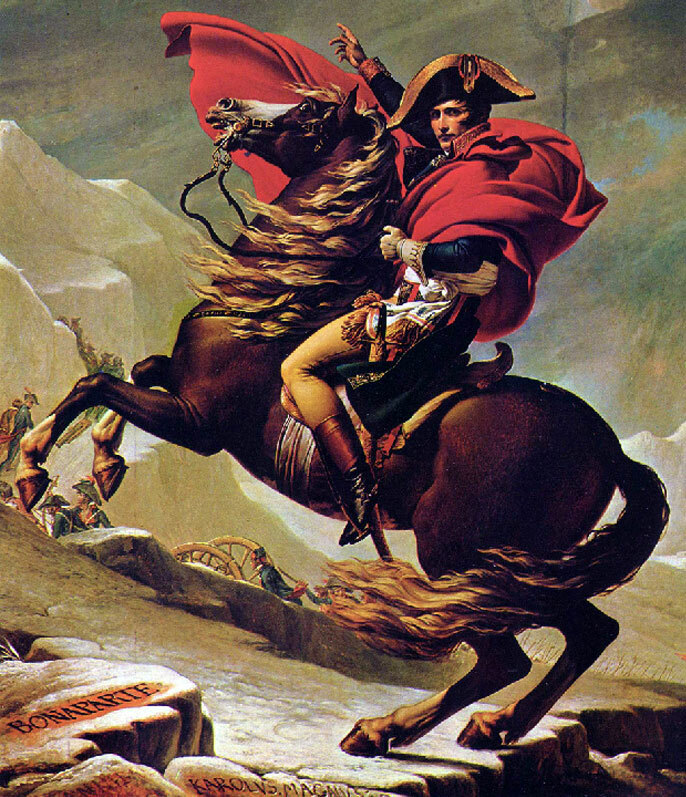 Confiscation or seizure of property by the state had existed before, but the process under Napoleon was the most comprehensive one that had taken place. Almost all spiritual imperial estates were dissolved and about 95,000 square kilometers of land with more than three million people changed hands. The French eastern border was moved to the Rhine and thus brought many German princes to their linksrheinischen possessions. Affected were the capitals and a large part of the territory of the three religious electors Kurköln, Kurmainz and Kurtrier and the Palatinate, which now became part of France. Four of the eight electorate were extinguished. This page was last modified at 29 November 2017 at 14:56.